Having your primary asset out of service is detrimental to your business, your clients and your reputation. Cosmetic Laser Experts understands that getting your equipment up and running as quickly as possible is paramount to your business. That’s why we employ only the best certified technicians in the industry who are qualified to repair cosmetic laser equipment. Cosmetic Laser Experts also stocks an extensive inventory of laser parts and supplies to ensure that a quick turnaround is possible for our customers. 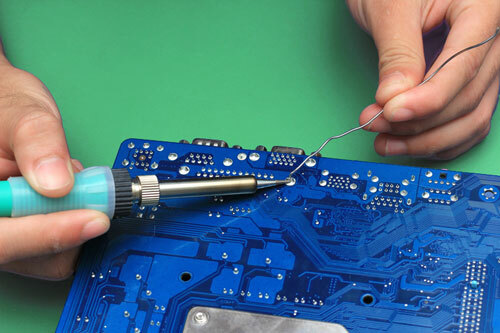 We also have access to a network of suppliers in the event a special or hard to find part is needed to repair your aesthetic laser system or handpiece. Our company is committed to having you up and running in the shortest time possible. If you do not see your laser listed above, please don’t hesitate to contact us. We repair both handpieces and bases units for a wide variety of common cosmetic laser brands. These are some of the parts and components we can repair on your aesthetic laser or aesthetic head. Contact us today for a FREE REPAIR ESTIMATE. Sometimes we can even troubleshoot your equipment over the phone. Having your equipment maintained and serviced on a regular basis is critical to the proper functioning of both your laser and handpiece. Don’t wait until your equipment fails, this can result in costly repairs. A regular maintenance schedule will also help to extent the life cycle of your equipment. Call us today at 866.646.7483 to schedule maintenance for your laser unit or handpiece. Cosmetic Laser preventive maintenance services we offer include annual calibrations, alignments, optical performance testing, testing and cleaning of cooling fans, replacement of filters, and other parts as necessary. Cosmetic Lasers Experts is based in Texas and serves local metro areas of Dallas Ft. Worth, Houston, San Antonia and Austin. We also service equipment all over the United States. Ship us your handpiece or base unit and we can have your equipment repaired quickly as we stock a substantial amount of parts including power supplies, crystals, filters, flash lamps, mirrors and more. This means our turn around time is extremely fast. Other repair companies have to order parts and components, which substantially slows down laser repair. We’ve structured our business model to be the optimal cosmetic laser repair solution for medspas. Give us a call today and see how we can your business. We even offer free troubleshooting.